Did you know that dental anxiety is remarkably common? While 1 in 6 people have a diagnosed form of dental fears or phobias, up to 75% of Americans experience some worry, apprehension, and stress when visiting their dentist in West Plano. That’s why the team at Parkway Vista Dental offer sedation options to give you the relaxing experience you deserve and to help you receive the dental care your teeth need. In this post, learn how Dr. Bita Kamali can set you at ease at your next visit to her office. What Sedation Methods Do You Offer? 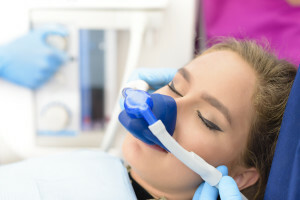 Inhalation Sedation – Nitrous oxide, or “laughing gas” as it’s more commonly known, is a sweet tasting inhaled medication that works within seconds. This is a safe, yet effective option that is so secure and studied that it can even be used on children. Since the effects of the sedation wear off after a few minutes one the medication is stopped, and leaves no lingering “hangover” effects, you can drive yourself to and from your appointments. You’ll be able to return to work or school with no issue, so this is a perfect solution for busy patients. Oral Conscious Sedation – In this method, patients take a small sedative pill by mouth before they come into our office and then they take a second dose once they’ve arrived for their appointment. Although you won’t be completely asleep, you’ll be incredibly relaxed. You’ll still be able to respond to commands – like when we ask you to open wide, for example – but you may not remember your dental care. You might even be so relaxed that you fall asleep in the dental chair – this is very common and a sign that the medicine is working as it should be. With this method, you’ll need to arrange for transportation both to and from your appointment, and it’s best to schedule your visit in the afternoon, so you can go home and relax as the medication wears off during the rest of the day. You have dental anxiety, phobias, or fears. You have sore jaw muscles. Local anesthetic like Lidocaine don’t work to numb areas of your mouth. You’re extremely sensitive to pain. You have trouble sitting still for long periods of time. You have difficulty controlling your physical movements. You’ve had a traumatic dental experience in the past. 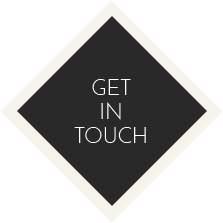 You have special needs for physical, mental, or behavior health conditions. Now that you know how our sedation techniques cam n help you receive the dental care you need to keep your teeth shining bright, schedule your appointment with Parkway Vista Dental today!